Update to my missing links list seen here! I think I found a lamp for my living room! 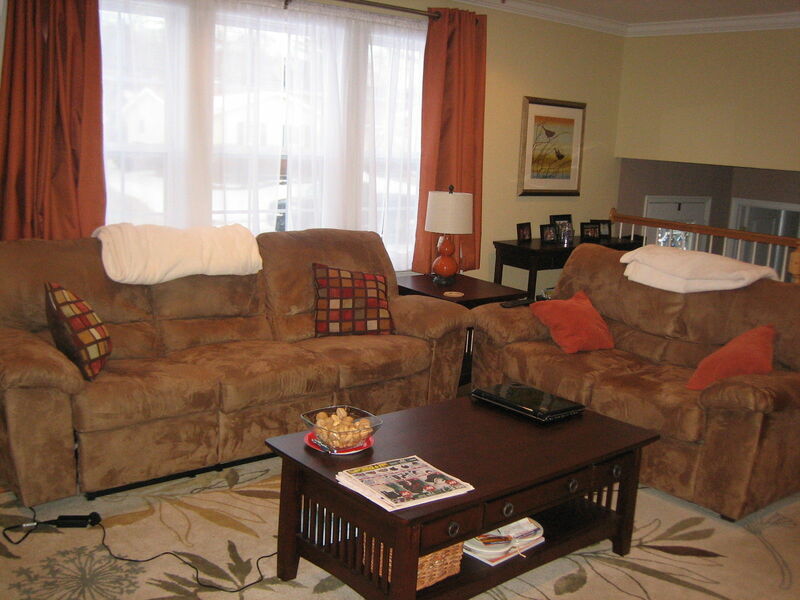 The walls are a light yellow color, the couches light brown, and the accent colors throughout the room are reds, rusts, tans and other earthy tones. 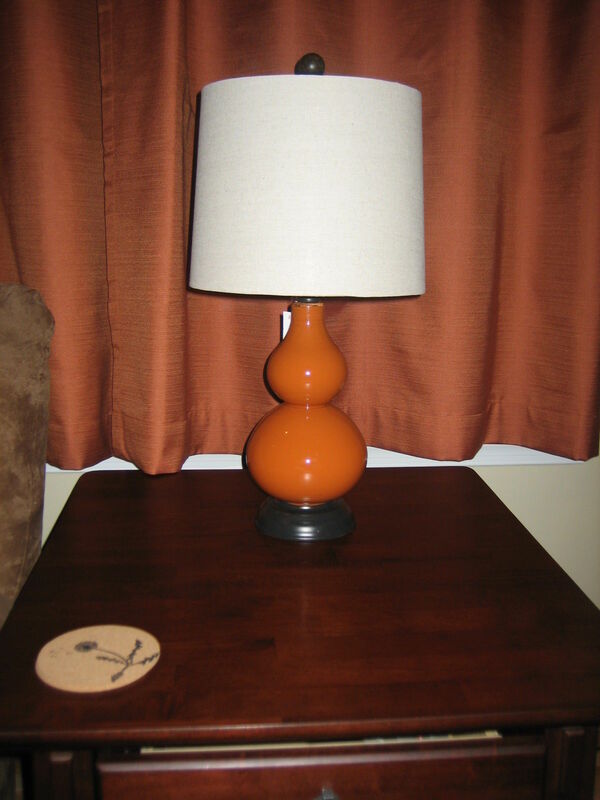 After shopping with D this weekend at my beloved Home Goods, I think this fun orange base lamp fits right in, don’t you? Do I need something underneath it? like a round fun placemat turned modern doily? It’s such a big corner/end table. Looove the lamp! I have my eye set on some at pb. Ugh…so $$$!